Scientists have finally begun to work out what exactly ‘chemo-brain’ is – and may have found a way to reverse the brain fog cancer treatment cause, a new study reveals. More than half of patients that receive chemotherapy report experiencing a cognitive fog for months and sometimes years after undergoing the intensive cancer treatment, but doctors haven’t really understood what causes this. A team of Stanford University scientists, however, have identified chemo’s effects on three different types of brain cells. In their experiments on mice, a drug to quell those immune cells helped to reverse chemo’s cognitive effects, giving the team hope that a treatment could be on the horizon. Around the time of World War II, the US military’s tests of mustard gas led to the discovery that compound based on mustard gas could combat some cancers. Tumors grow when a DNA mutation allows cells to divide and multiply out of control. But methotrexate’s predecessor blocked that DNA from replicating, so it blocked cancer growth, too. Chemo’s roots in poisons and warfare are telling. Any chemotherapy is toxic to us – it’s just most toxic to carcinogenic cells. And our body responds accordingly. chemo often makes patients nauseous, unable to eat, makes them achy and tired and makes their hair fall out. 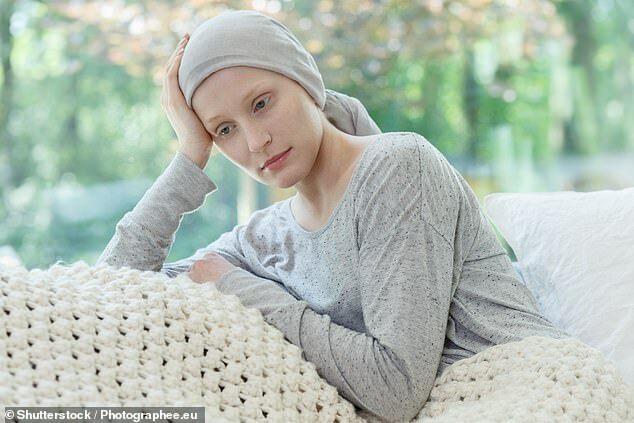 Most worryingly to many cancer patients, chemo often comes with a decline in cognitive function that can last far longer than the treatments – or even the cancers, in some cases – themselves do. Chemo-brain was once dismissed as a wive’s tale. Even the world-renowned Mayo Clinic still calls the term ‘misleading’ and says that it is ‘unlikely that chemotherapy is the sole cause of concentration and memory problems in cancer survivors. We are at last beginning to understand what role it does play, however. The Stanford researchers focused on the neuron-supporting brain cells in the white matter. Three particular types seemed implicated in chem-brain: oligodendrocytes, astrocytes and microglia. Oligondendrocytes produce myelin, the coating that protects neurons. If these sheaths are damaged incomplete or missing, signals sent between brain cells are liable to interference. Like a radio, the signals might not come through clearly – or at all. Astrocytes lay important supporting roles for neurons, making sure that they are running smoothly and getting sufficient nutrition. And microglia are the brain’s own personal immune system. The researchers gave some mice with cancer chemotherapy, and left the others untreated. In the brains of those who had had chemotherapy, the myelin-producing cells never reached maturity, so they couldn’t produce sufficient myelin to protect the neurons. As a result, the mice moved more slowly, and had a harder time recalling elements of an environment that should have been familiar to them. Even when they were injected with cells that would become oligondendrocytes from healthy mice, the cells got stuck in a state of arrested development in the chemo-treated mice’s brains, suggesting it was something about the toxicity of the brain environment that was interfering with this process. On the other hand, chemo seemed to supercharge the brain’s immune cells. The microglia were ‘persistently activated’ for at least six months after chemo was administered. They were on the defensive, behaving as if there was an infection or other pathogen to fight off, which likely meant prioritizing defensive action over other functions like nutrition. Indeed, the overactivity in the microglia interfered with the astrocytes, and the neurons struggled to get enough nutrition, which could be an additional cause of brain-fog. Remarkably, the Stanford researchers discovered that they could use a drug that attacked the microglia to restore the balance between them and the nutrient-feeding cells – reversing the cognitive effects of the chemo. ‘The biology of this disease really underscores how important intercellular crosstalk is,’ lead study author and Stanford neurologist Dr Michelle Monje said. ‘In addition to existing symptomatic therapies – which many patients don’t know about – we are now homing in on potential interventions to promote normalization of the disorders induced by cancer drugs.